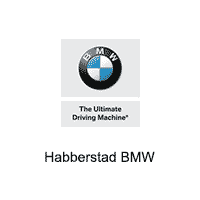 Habberstad BMW of Huntington welcomes BMW owners to our performance parts selection featuring both M Performance Parts and Dinan parts. Car enthusiasts rejoice, Habberstad BMW of Huntington is the perfect place to customize your Ultimate Driving machine with parts generating unbelievable levels of performance. We are the only Dinan Pro Dealer from Mid-town Manhattan to Montauk, New York, priding ourselves on this prestigious classification. As a Dinan Pro Dealer, we go above and beyond standard dealers and also utilize Dinan demonstration vehicles on-site or sell pre-built Dinan cars. When visiting Habberstad BMW of Huntington’s parts department, you can ensure that your BMW will receive the highest level of service. Our service advisors are dedicated and passionate with an expansive knowledge of performance parts options to assist you in choosing the right accessories for your BMW. Your BMW will be worked on by professional factory trained technicians for both M-Performance and Dinan Performance. M PERFORMANCE: BMW M Performance Parts is the epitome of sportiness and performance. Making M Performance enhancements to the aerodynamics, the chassis, cockpit, or drivetrain means you made the decision to own the road. Whether you make major additions to your vehicle, or adorn it with a few sport additions, M Performance Parts ensure the ultimate driving experience in the Ultimate Driving Machine. Aerodynamics: Minimizing friction is just the beginning when adding aerodynamic parts to your BMW. You could add a lightweight Carbon components to enhance driving dynamics, or, make a sporty statement with front and rear stripes in iconic M colors. Drivetrain: The M Performance Power Kits optimize your BMW with more horsepower and torque. Adding carbon fiber tailpipes set the tone for the exhaust system allowing you to expect higher revving and a deep racing growl. Cockpit: Stay in control and feel the road with the M Performance Electronic Steering Wheel. With real-time data from the display embedded in the steering wheel, embrace the custom feel and grip. Meanwhile, a Carbon Fiber Gear Selector give the feeling of motorsports dynamics. Chassis: The M Performance Suspension System wasn’t just tested anywhere; it was tested on the Nürburgring and is expertly designed. Comprised of components selected for their impressive agility, this chassis won’t dissapoint. Add in strong, lightweight M Performance Wheels and an M Performance braking system. DINAN PERFORMANCE: Dinan is BMW’s premier aftermarket parts supplier allowing you to upgrade your BMW to unbelievable levels of performance. One of the benefits of using Dinan parts instead of other performance tuners is that all enhancements installed by BMW are covered by the 4-year/50,000 mile BMW new car warranty, taking the worry out of customizing your BMW. Dinan enhanced BMWs get placed on a performance level with some of the most exotic cars in the world. Complete Performance Solutions: Dinan’s objective is to offer complete performance solutions by outfitting the entire range of BMW models. Dinan believes that every BMW driver deserves the opportunity to get the most from their car, no matter which model. From faster acceleration to improved cornering capabilities and stopping power, Dinan has something to offer every BMW owner. Multiple Package Options: Many of our customers select one of many Dinan package that combine a number of upgrades into a single project, making sure you get the most out of your investment. Many packages also invite the customer to select optional high-performance upgrades such as Brembo GT brakes and a 7-speed double clutch transmission. The Industry’s Best Upgrades: Dinan has many years of performance-tuning BMW vehicles which is what makes them preferred by so many BMW customers. They share the passion of BMW enthusiasts to get the most out of driving by offering an extensive catalog of upgrades. An extravagant amount of R&D is done using only the best materials such as carbon fiber and stainless steel. Software upgrades that improve power output are also available on each BMW.